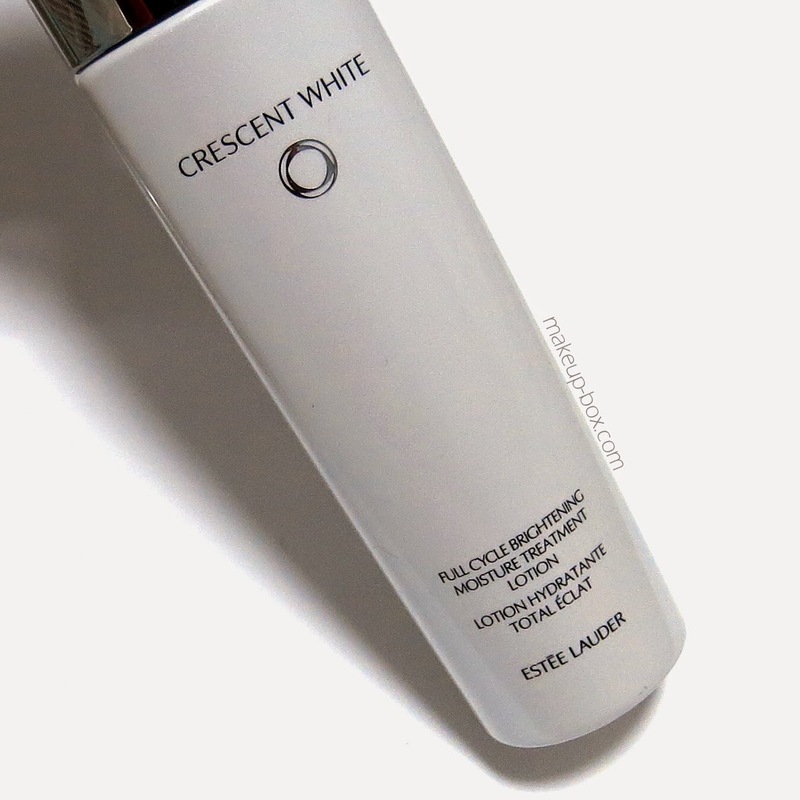 Estee Lauder has replaced it's previous whitening/brightening range Cyber White, with a new line called Crescent White. Similar to the older range, this is formulated in Asia and primarily targeted at East Asian consumers, who prize fair, unblemished skin. Unlike the previous series however, this range is based on the same theory as bestselling Advanced Night Repair, and aims to support and harness the skin's own Circadian rhythm to repair and resist environmental aggressors which can cause uneven pigmentation and dullness. According to Lauder's research, the skin pigmentation process has a definite Circadian (day/night) rhythm, and a day of being assaulted by UV, pollution, and other triggers rmelanin production, which peaks at night. Over time, these discolorations accumulate and can be hard to treat. 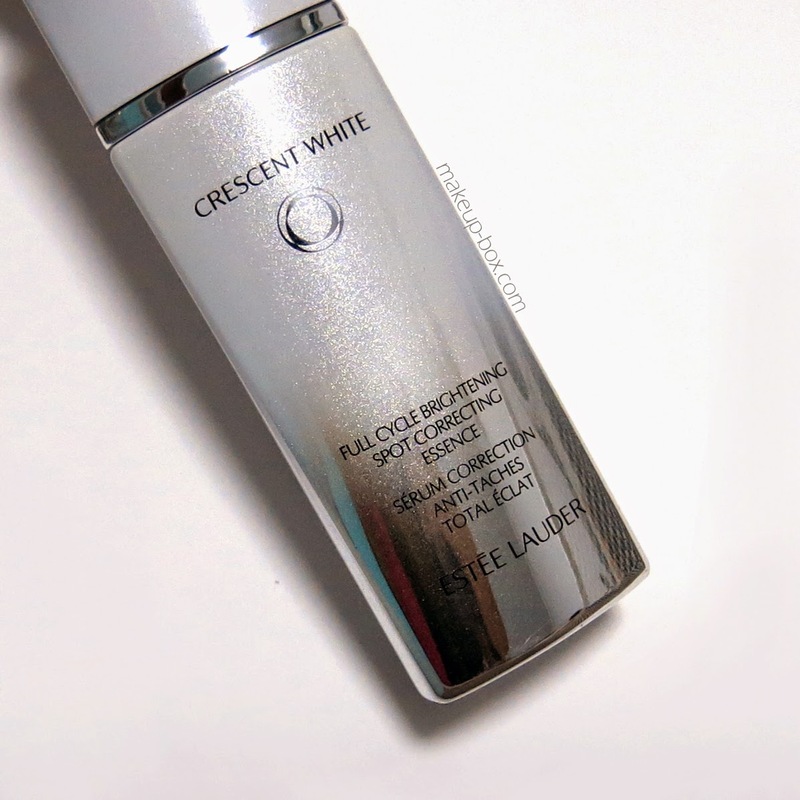 The new Crescent White range is not split into day and night products, despite the concept behind the line. 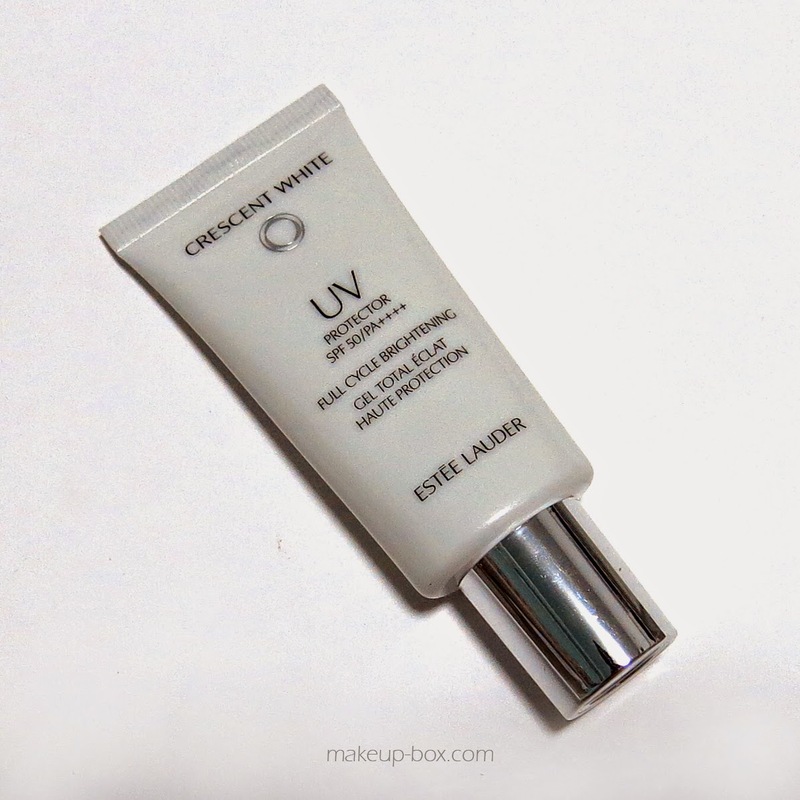 Aside from the sunblock, BB cream and compact foundation, you don't have to worry about using separate things in the day and at night. The entire line contains active ingredients which are meant to address BOTH daytime protection needs, as well as night-time correction needs. I'm not going into too much of the pseudo-science lingo and names because things like Light Cycle QD Complex, Quasi-Drug Anti-Inflammatory agents, or SIRT-Technology mean nothing to most people and are meant to sound impressive and scientific, but I always found unnecessarily confusing. Technically, "Quasi-drug" means "not really a drug", so those 2 words pretty much cancel each other out. It doesn't mean I don't believe the line does what it says though. I've used a lot of Lauder's serums over the years, and they are one of the premium lines that has given me consistently good results. I'll just say ignore all the mambo-jambo and remember that this line contains a lot of powerful plant-based antioxidants and anti-irritants like Baicalin and Sea Fern extract, which can help reduce and prevent the inflammatory response in skin which triggers melanin overproduction. It also contains Molasses extract, a proprietary extract which is supposed to target and break up accumulated pigmentation in the skin, and help the skin to even itself out. But traditionally, no whitening line I've used has been that great at treating existing discoloration quickly enough to see a noticeable difference within a few months, so I wouldn't get your hopes up. I would see the line as a great way to maintain and prevent further discoloration, and to accelerate your skin's own repair abilities so that it evens itself out slowly. 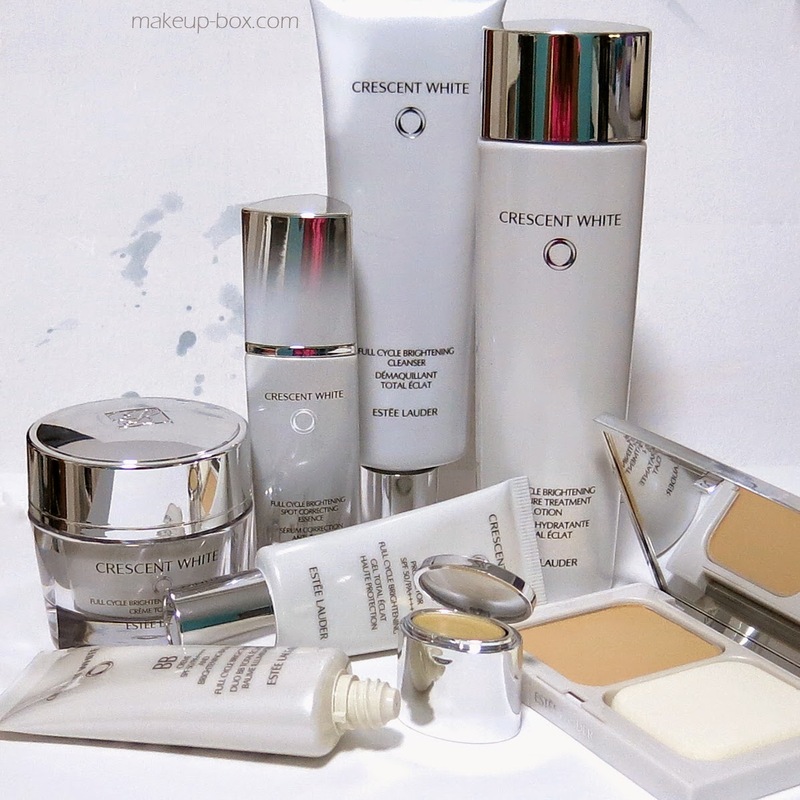 The Crescent White Range consists of 7 products. But if you ask me what I'd focus on, here are my top recommendations from the line. The Moisture Treatment Lotion is a gentle toning lotion which just feels so refreshing on the skin. This is meant as a skin-prep and softener to enhance the serum and moisturizer, but it also contains all the active ingredients in the line, and just feels (and smells) lovely to pat on. I would actually suggest decanting this into a small spray bottle and bringing it out with you for a refreshing mist in the middle of the day. The core product in any skin range is usually their serum or essence, because this tends to contain the highest concentration of active ingredients. If you like the whole concept behind the Full Cycle Brightening range but have to focus your budget a little, then I would probably check out the Essence first and foremost. This is a very lightweight, non-siliconey feeling serum that sinks in and absorbs quickly. Great for all skin types, including the very oily. 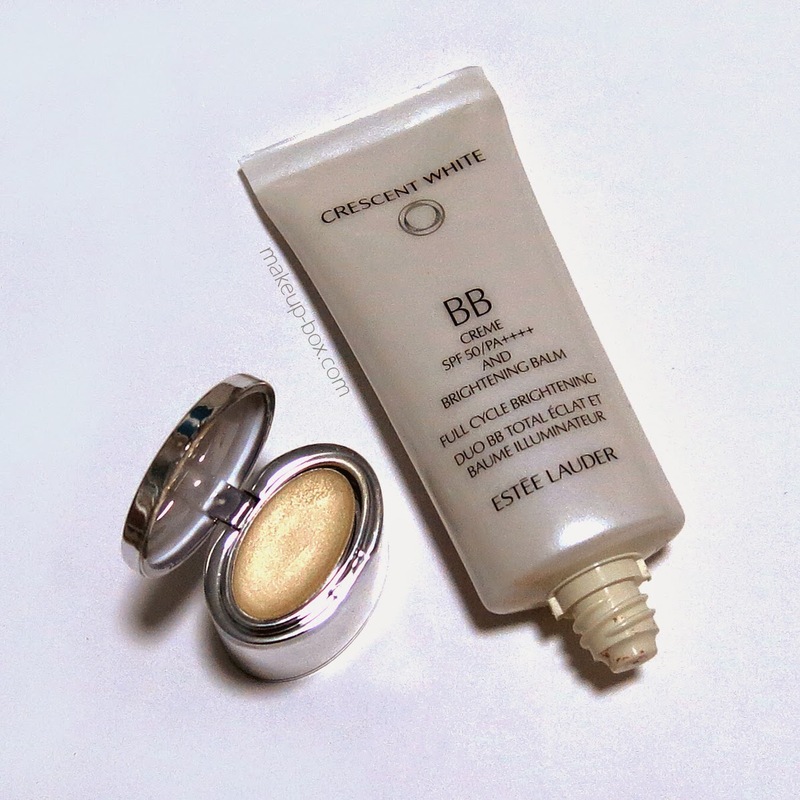 Now BB creams are a dime a dozen these days, but the reason I actually have been reaching for this particular product, aside from the fact that it contains an impressive SPF50 with PA++++, is that little pan of shimmering balm in the cap. It's become one of my favorite things for adding a subtle glow to the cheekbones. If you like creamy balm textures like NARS Multiple sticks or Tom Ford's Shade and Illuminate for adding glow without powderiness, you might just like this as much as me. The BB creme itself is alright; the coverage is very light so it only evens out the skin but will not give you much coverage. But if that's all you need, and you like the glow the balm provides, then it's an ideal second layer of protection over your sunblock. I do like the SPF50 UV Protector sun cream in the range as well. It's completely translucent and doesn't leave a cast or a film on the skin, so I wouldn't hesitate to recommend it to those with oilier skins. I tend to stick with cheaper sunblocks on a daily basis, but if you are going to be out and exposed in the sun for awhile, I think it's always good to have a block which is souped up with extra antioxidants and anti-irritants, because no sunscreen gives you 100% protection, and this has a backup safety net of good stuff to help minimize problems when you can't avoid sun exposure. And yes - I would layer both sunscreen and a BB creme with SPF, just for the safety net. It can be tempting to be lazy, but a typical layer of sunscreen or foundation is usually not thick enough for you to maximize the sun protection factor, so it's far better to have two layers (you're more likely to max out the SPF50 protection) than to rely on just one. The shea butter is additionally nice for soothing irritated skin. The key to any moisturizer is to assist skin feel softer however with solely the simplest public lavatory skin care merchandise, you'll realize they additionally facilitate your skin to seem younger and feel additional rejuvenated, for more information click here mens grooming. What an amazing range...I love Estée Lauder products !!!! I really want all of them ! Could you send me pictures of their ingredients list please ? good For this workout I will certainly pick Movies. You do not need to ikodidownload.com utilize the application. When you install the application for great.